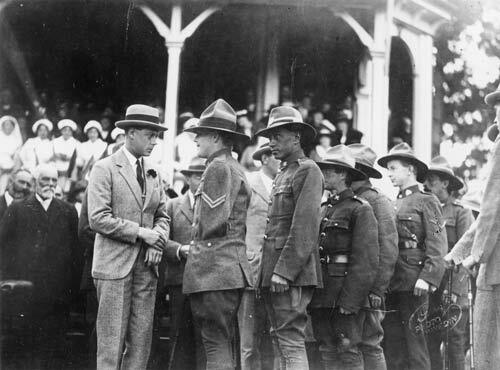 Edward, Prince of Wales, visited New Zealand in 1920 as part of a series of tours of the empire that took place over several years. Their purpose was to recognise and thank all the countries that had supported Britain during the First World War – while also shoring up enthusiasm for the empire itself. The prince met and thanked war veterans across the country, and visited the 1,500 still in military hospitals. Here he meets veterans in Ashburton.